This all natural non toxic cream is formulated with Pro-Vitamin B3 - Niacinamide at a concentration of 5%. 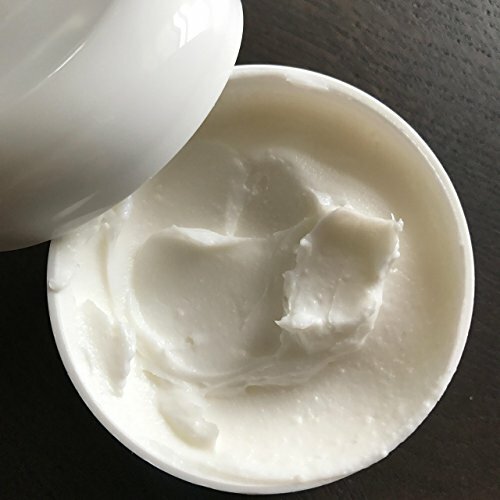 Along with natural butters and oils this cream may be the one your skin needs to boost the immunity and erase those fine lines and wrinkles. Longer Moisturising Effect: A study conducted in 2000 showed that 2% niacinamide reduced the skin water loss by 24% in 4 weeks. At the same time, fatty acids and ceramides were boosted by 67% and 34%, respectively. Help Aging Skin. It is known that loss of fibroblasts and increased collagen breakdown lead to loss of skin elasticity, and appearance of wrinkles. Human studies shows that niacinamide stimulates new fibroblasts by 20% and collagen secretion by 54%. Skin Lightening Activity: A group of volunteers applied a skin cream with 5% niacinamide for 8 weeks. Age spots around the eye and cheek were significantly reduced confirming the skin lightening activity. Niacinamide does cause increased micro-circulation, so you may see skin flushing after application. Always perform a test on smaller area on your skin to see if you notice any negative skin reactions. Vegan, Never tested on animals.